This preserve is for the birds! The hiking trail at the Domer-Neff Nature Preserve and Bird Sanctuary winds its way through bucolic old fields and low shrubs that provide true sanctuary for many of the 218 recorded species of birds found on Washington Island. 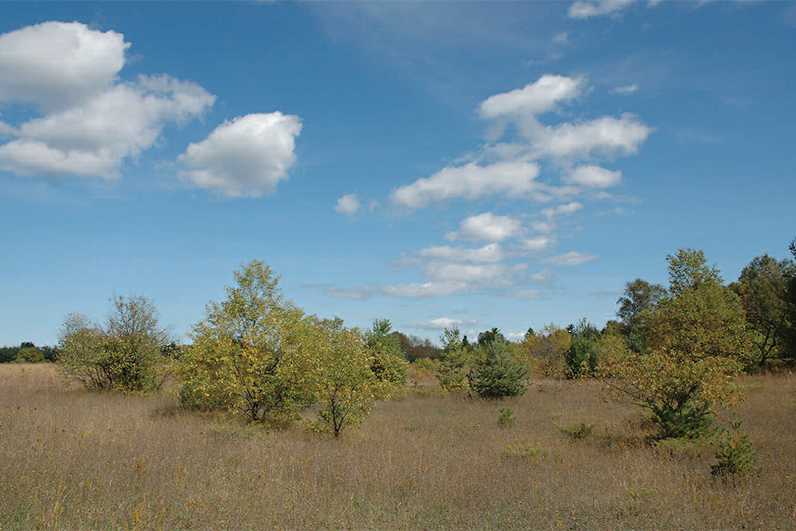 This beautiful preserve was established in 1997 to protect the upland acres of bird habitat. As the first Door County Land Trust nature preserve on Washington Island, it also marked the beginning of an important relationship between the Land Trust and the Washington Island community. Since the establishment of the preserve, Washington Island school children have planted hundreds of native trees and shrubs to enhance the property’s bird habitat. Avian visitors include eastern kingbirds, field sparrows, meadowlarks and bluebirds. Kestrels, harriers and other birds of prey may be seen hunting in these open meadows. The Domer-Neff Nature Preserve and Bird Sanctuary abuts a sanctuary of another sort, the Stavkirke Chapel. This beautiful Scandinavian chapel is based on drawings of one built in Borgund, Norway, in 1150 AD and was built to honor the island’s immigrant heritage. The chapel is surrounded by a peaceful, wooded meditation trail that connects to the Door County Land Trust hiking trail. From the ferry dock, take Lobdell Point Road to Main Road. Turn left and continue on Main Road to the intersection with Town Line Road. 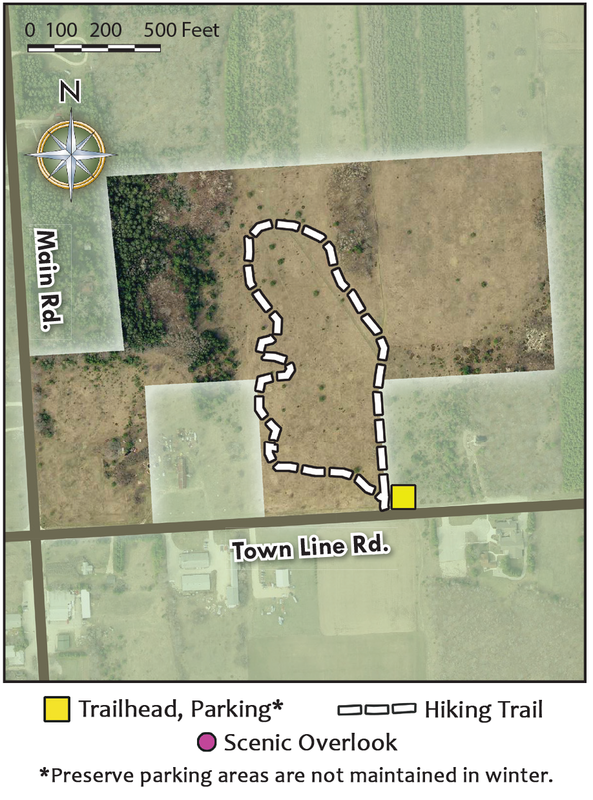 Turn right and travel 0.3 miles to the trailhead located at 1800 Town Line Road. Park along the side of the road.